So, my last Canadian spa on this trip. I'd checked out the best of the town -- what about the country? 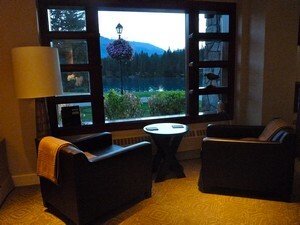 The journey by cab from Jasper town centre to Jasper Park Lodge is enough on its own to shift you into a more relaxed gear; that's before setting foot in the spa. As you wind your way towards the entrance, you pass cosy-looking lodge cabins dotted around a shimmering lake surrounded by the Rocky Mountains. Once inside, you find the usual Fairmont-standard of great service with friendly staff and clean, welcoming lines in the lobby. So, to the spa, where the team dropped their only point: I had to hunt for someone as there was no-one on reception. Once I'd located one of the spa team, I was in expert hands. I took a brief spa tour. 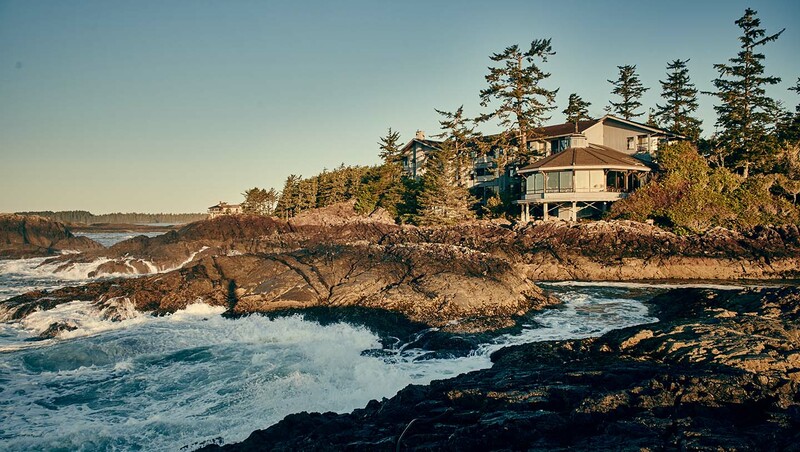 Although this spa isn't branded as a Fairmont "Willowstream" spa, all of the Willowstream great touches are there, from the cosy blankets and tempting array of fresh fruit and cookies in the relaxation room to the spacious, well-equipped treatment rooms. My favourite was the couples room -- complete with a roaring fire! The changing rooms were equally pleasing, well-stocked with products and fluffy towels. I was assigned a locker with a robe and spa-slippers. I changed into these before returning to the relaxation room to fill out the consultation questionnaire. I was having such a nice time looking out over the lake and the mesmerising mountain view that I almost didn't want to leave when Charlie, my therapist, arrived! My treatment began face-down. I breathed in deep the relaxing essential oil blend that Charlie wafted under my nose... and breathed out. Ahhhh. I'd never experienced the kind of massage strokes that Charlie used; a kind of medium-pressure with slow, long strokes that really got into those knots around my laptop-hunched shoulders and stiff neck. After a positively drool-inducing back and leg massage, Charlie used a skin-softening foot cream to give me the perfect foot rub. Then it was time to turn over; my neck and head got more of his magic-fingered attention. I usually have a little *snap, crackle and pop* thing going on with my neck whenever I stretch; after just 60-minutes on the couch at the spa, it had gone. I was hugely impressed. I padded down to the relaxation room to nibble on some more fruit, and drink some cooling cucumber water. Lovely. The sun was slowly setting over the mountains, the lake was shimmering with golden lights, and I genuinely felt more relaxed and happy than I could remember feeling in a while. The great therapy combined with the perfect views created a real sense of feeling at one with myself and the world around me. Actually, it's probably a good thing I wasn't staying; a few more days like that and you'd find me meditating in the woods trying to make friends with the bears... Not a good plan! Enter the ice-sauna! Canada’s Sparkling Hill dazzles.